According to a recent report by California based RealtyTrac, distressed properties accounted for one third of all US housing sales in the second quarter of 2011. The glut of inventory is only going to increase as lenders slowly bounce back from the robosigning crisis and foreclosure filings begin to pick up around the country. A large portion of distressed sales are undoubtedly pre-foreclosure sales, or short sales. If you are a real estate professional, odds are that you worked on a short sale transaction in 2011. For those real estate agents who are yet to work on a short sale, you can no longer afford to ignore this segment of the housing market. If you are refusing to work on short sales, you are ignoring nearly 1/3 of your potential earnings. What makes these transactions so difficult is that every short sale is unique. The housing market is not getting better anytime soon, and short sales will likely account for a large portion of all housing sales in the next few years. Below are five things a listing agent should do on all Massachusetts short sales in order to ensure a successful transaction. Contrary to popular opinion, a homeowner does not automatically qualify for a short sale just because the amount they owe on their mortgage is greater than fair market value of their home. All short sale lenders require a financial hardship, yet very few listing agents ask the homeowner why they are requesting a short sale. As a listing agent, it is imperative that you first determine whether the homeowner qualifies for a short sale. Once you determine that your seller is a qualified short sale candidate, it is equally important to inquire as to the status of the foreclosure process. Most lenders no longer require homeowners to be delinquent on their mortgage in order to initiate a short sale, but the last thing you want to do is spend time working on the transaction if the foreclosure auction is imminent. A large percentage of all short sales that fail get denied because the seller is unable to postpone the foreclosure auction. Short sales are complex transactions that can be very frustrating for inexperienced real estate agents, but taking the initial steps of asking why the seller is pursuing a short sale, as well as making sure that a foreclosure auction isn’t scheduled, will greatly increase your chances of closing the deal. The listing agent should always ask the seller how many loans are on the property. You must obtain short sale approval from each lien holder. Thus, the more lien holders, the more complex the short sale transaction. Furthermore, the primary lien holders must agree, or at least approve, all payoff amounts to subsequent lien holders. Keep in mind that all lien holders need to approve the short sale, not just the lenders, so it is important to inquire as to any potential tax liens, unpaid condominium fees and any other debts the homeowner may have that could prevent you from obtaining short sale approval. It is equally important to identify the lenders from whom you will be requesting a short sale. All lenders have specific short sale procedures. Some lenders can process a short sale request in as little as 30 days, while others can take months to respond. Thus, by identifying the lien holder, a listing agent can take a lot of the guesswork out of a short sale transaction by simply ascertaining the identity and amount of lien holders. One of the biggest mistakes a listing agent can make is submitting an incomplete short sale package to the lender. Lenders receive hundreds of short sale requests every day. 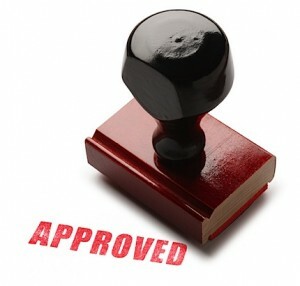 Upon submitting a complete package to the lender, the file is immediately assigned to a short sale negotiator. The sooner your file is with a negotiator, the faster he or she will schedule the lender’s appraisal. In contrast, if you submit an incomplete short sale package to the lender, your short sale is dead in the water. At that point, the only way to get someone to work on your file is to get a customer service representative to grant a review of the previously submitted documents. By the time that happens, most of the homeowner’s financial documents will have expired and you will be asked to re-submit those items. Most lenders can process a complete short sale package in the first 30-45 days, but the clock doesn’t start ticking until they receive a complete short sale package. If you make the mistake of submitting an incomplete short sale package, you make the short sale process infinitely harder than it needs to be. One of the most common short sale misconceptions is the belief that the lender calculates the potential loss as the total amount owed on the mortgage minus the short sale offer price. Instead, when you apply for a short sale, the lender is making the determination as to whether a short sale or foreclosure will result in a greater loss to the investor. In order to make this conclusion, the lender sends a representative, usually a local real estate agent, to come up with a fair market value of the property. Once the fair market value is assigned to the property, the lender uses this figure as the amount they expect to recoup if they sell the property at foreclosure. Consequently, if the short sale offer price is at least within the ballpark of the lender’s appraised value, the lender will approve the short sale because they can recoup the same amount of money without having to incur additional legal and carrying costs associated with a foreclosure. In other words, the entire short sale transaction hinges on the result of an independent third-party property valuation conducted by a local real estate agent on behalf of the lender. As a result, the listing agent can greatly improve the likelihood of getting their short sale approved simply by attending the appraisal and presenting the lender’s representative with current market data and property condition issues that substantiate the current offer price. Aside from a foreclosure auction, the most common reason that a Massachusetts short sale fails is due to the buyer walking away from the transaction prior to obtaining short sale approval. While there are some steps the listing agent can take to prevent the buyer from walking away, the most effective method to keep a buyer a party to the transaction is through constant communication and managing the buyer’s expectations. As long as you are familiar with the lender’s short sale process and you submit a complete short sale package, you should be able to provide the buyer’s agent with an accurate estimate of how long the short sale approval should take at the outset of the transaction. This way, the buyer does not have unrealistic expectations and they are more likely to remain a party to the transaction, even when unforeseen events occur. As a short sale negotiator, there is nothing more frustrating than working on a file for 30-45 days only to have the buyer walk away days before obtaining short sale approval. About the Author: Andrew Coppo of Greater Boston Short Sales, LLC (GBSS) is Massachusetts’ leading short sale negotiator. GBSS assists buyers, sellers, real estate agents and attorneys with getting their short sales closed. Contact us today if you are a homeowner facing foreclosure or a Realtor seeking assistance with a short sale transaction. GBSS is a MARS provider. Please read our disclaimer HERE. If you are considering a Massachusetts short sale, and would like a free short sale consultation, please call Andrew Coppo to schedule a meeting or a telephone consultation at (617)264-0376. Previous post: FTC MARS Exemption:Good Or Bad For Short Sale Agents?